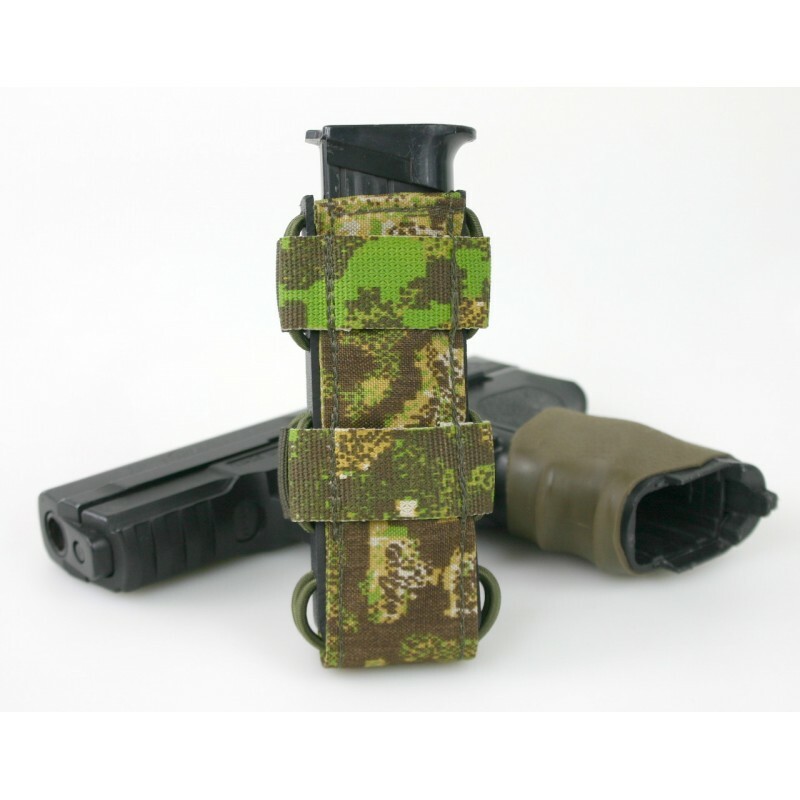 The hybrid solution for all common machine pistol magazines double row as MP5 and MP7. 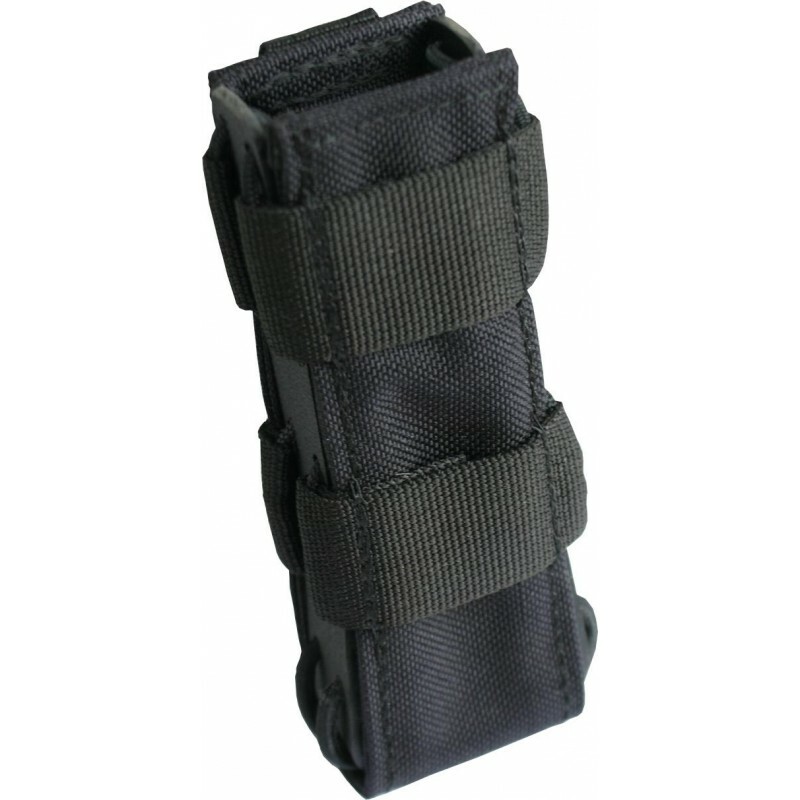 A secure grip of the magazine plus quick drawing and return speed are achieved by the Rubbercords Kydex® profile. 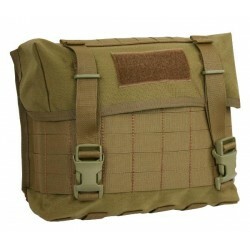 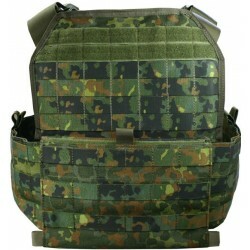 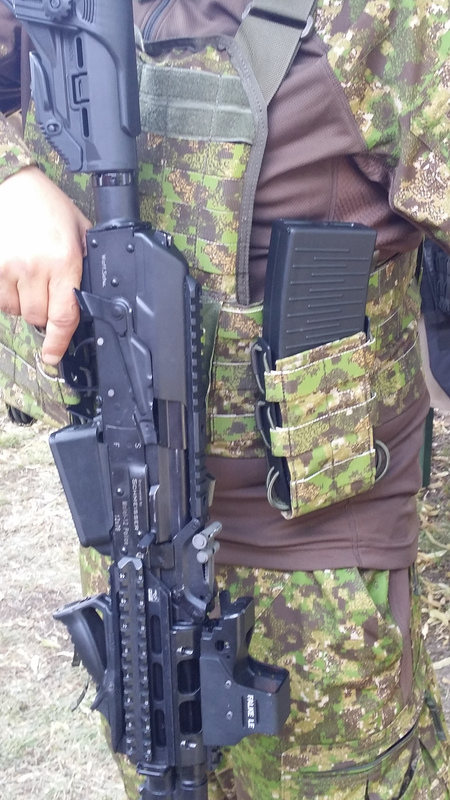 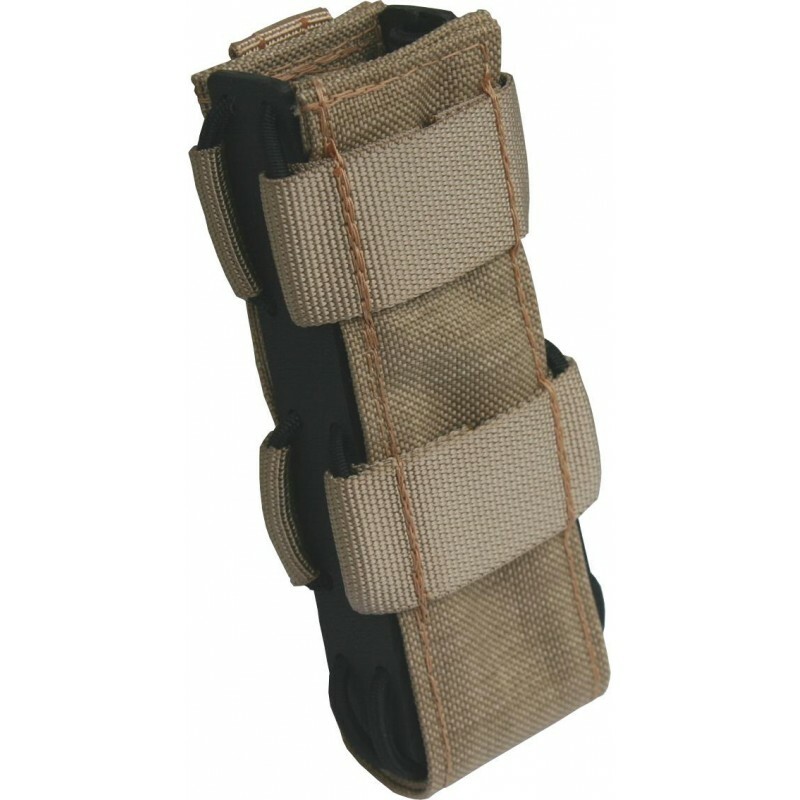 The Quick Draw Pouch Velcro can be positioned into the front-bag of the plate- carrier Vulcan I or in the kangaroo-flap of the Vulcan II System. 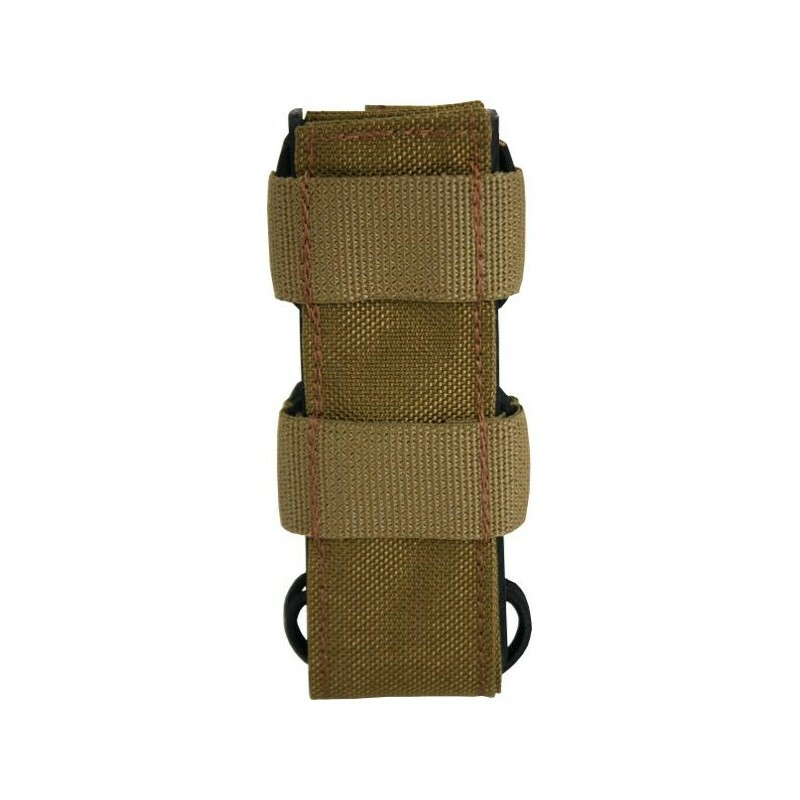 Therefore is on the one side hook- and on the other side fleece-velcro sewed on, this makes it usable for a lot of other systems too. 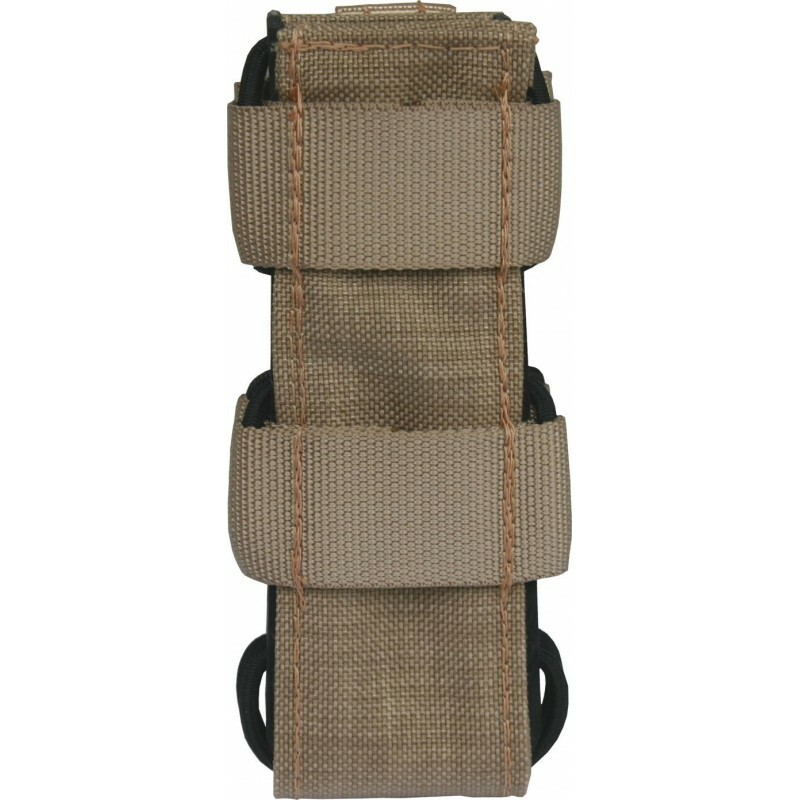 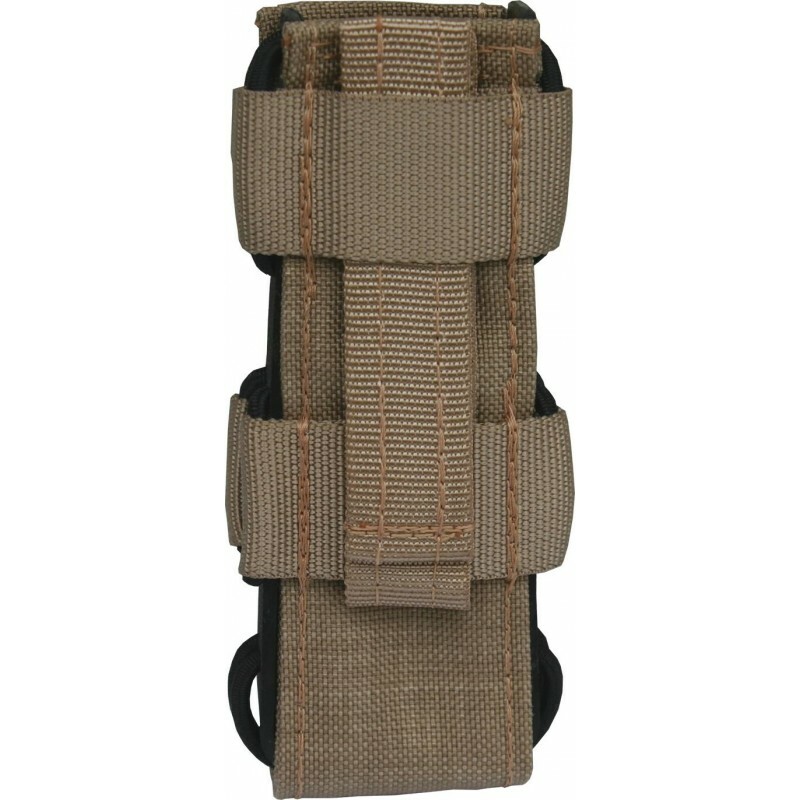 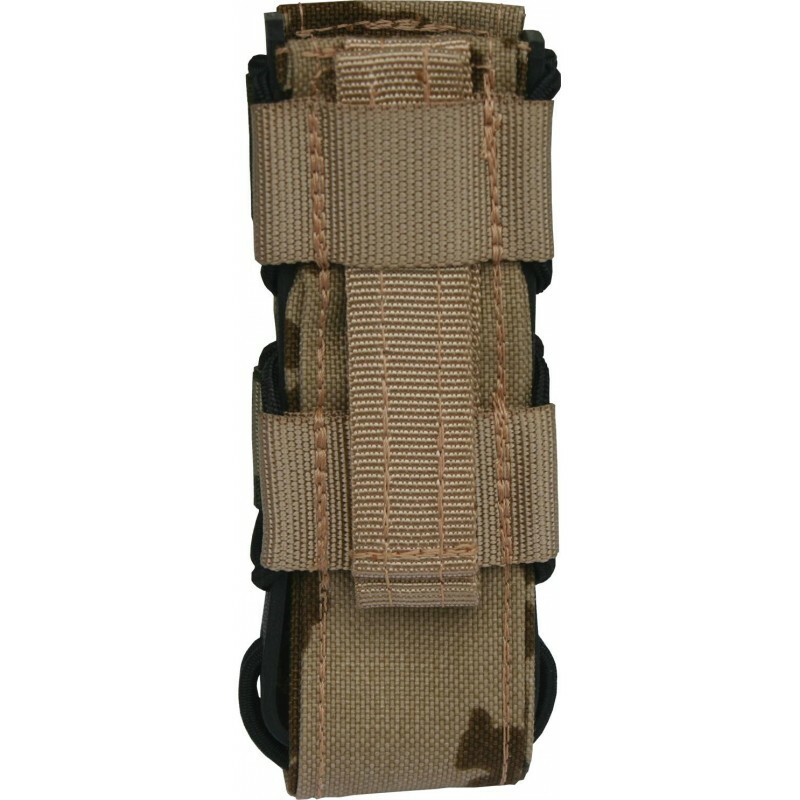 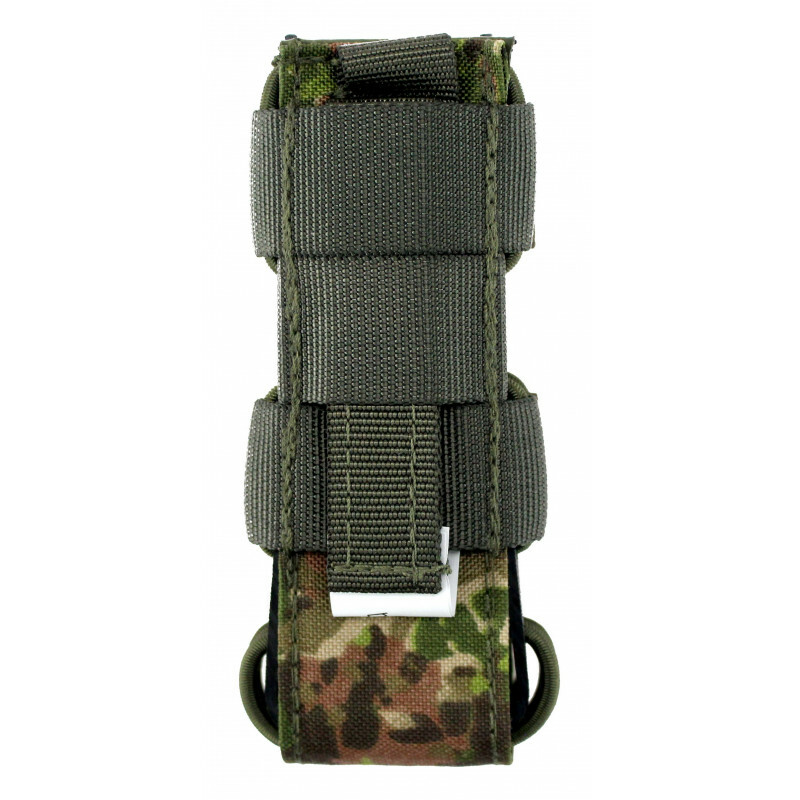 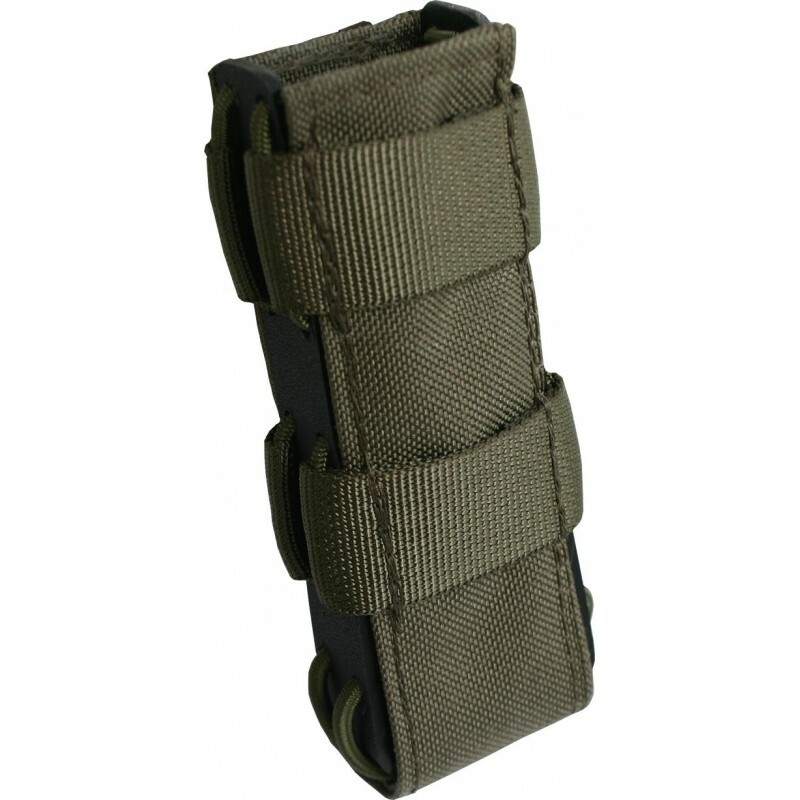 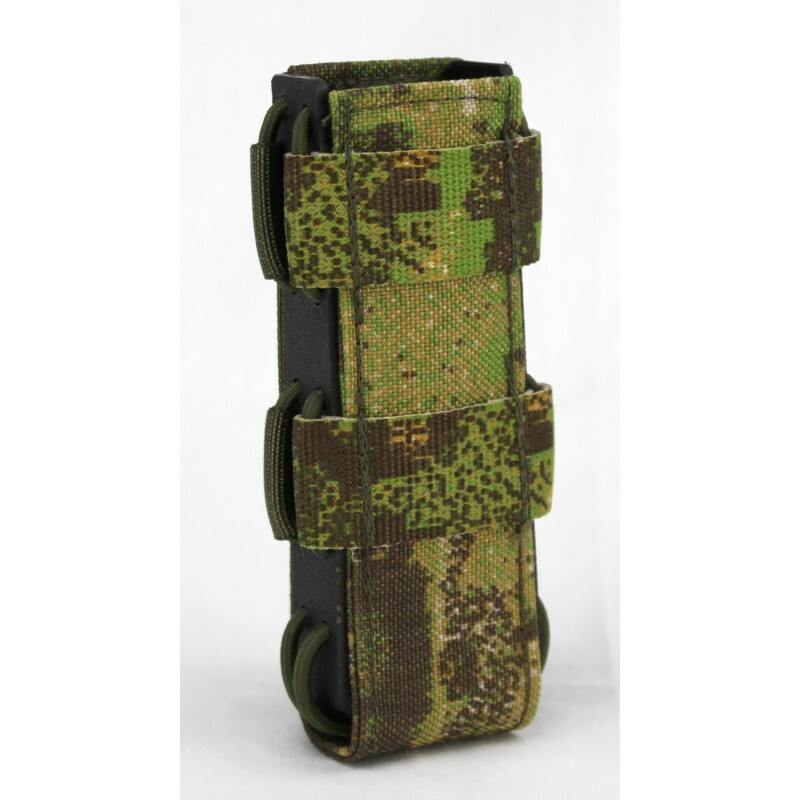 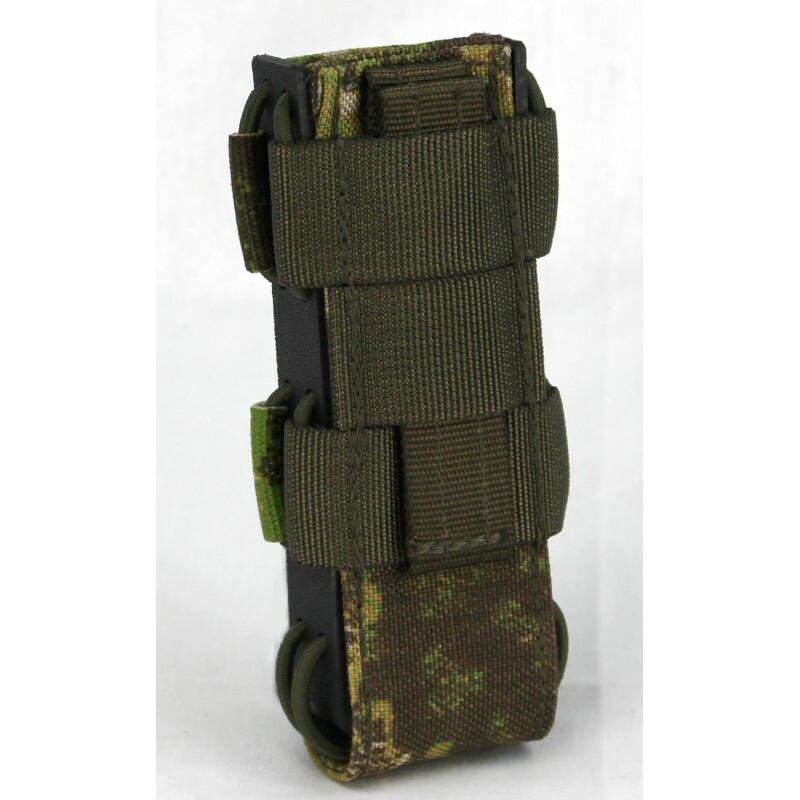 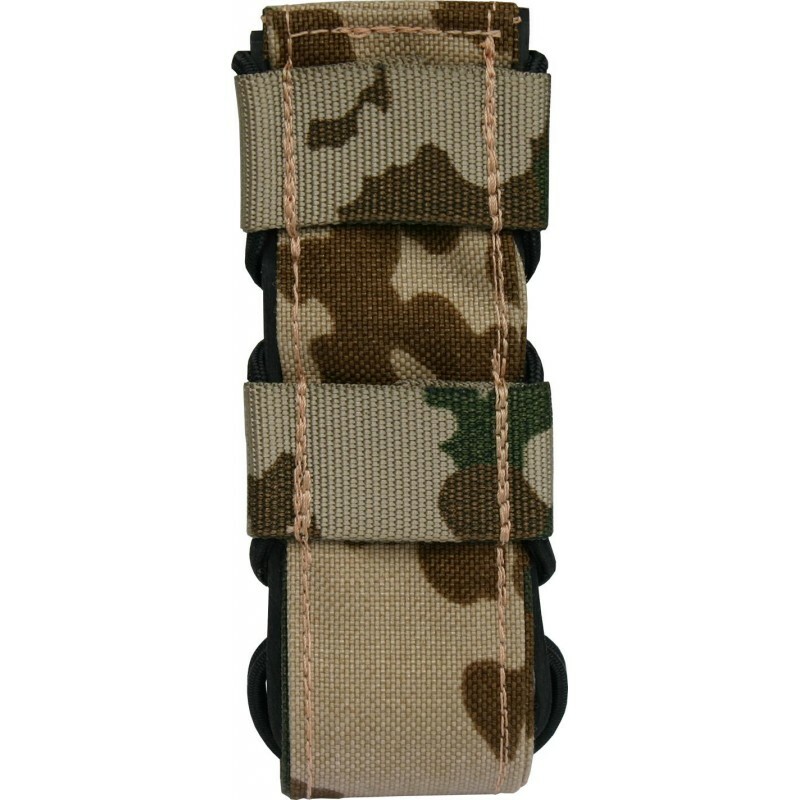 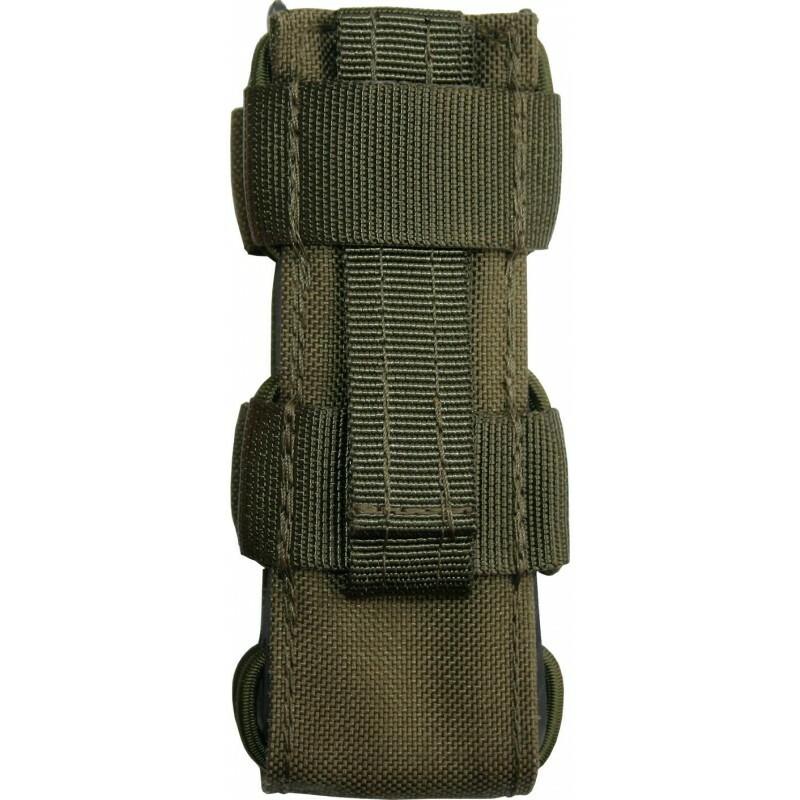 Additional is the Quick Draw Pouch Velcro insertable to the ballistic cummerbund. 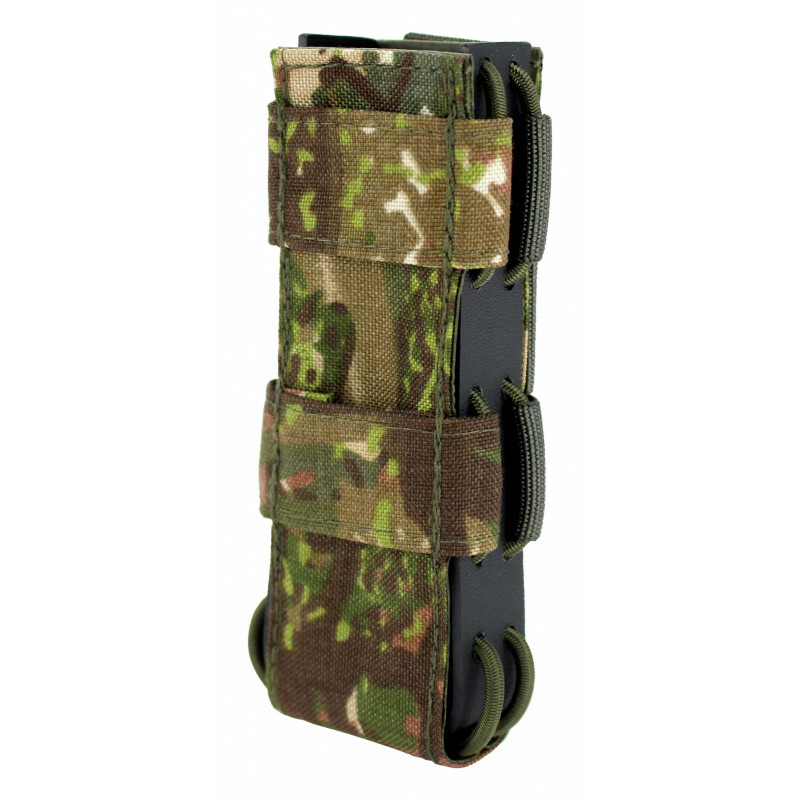 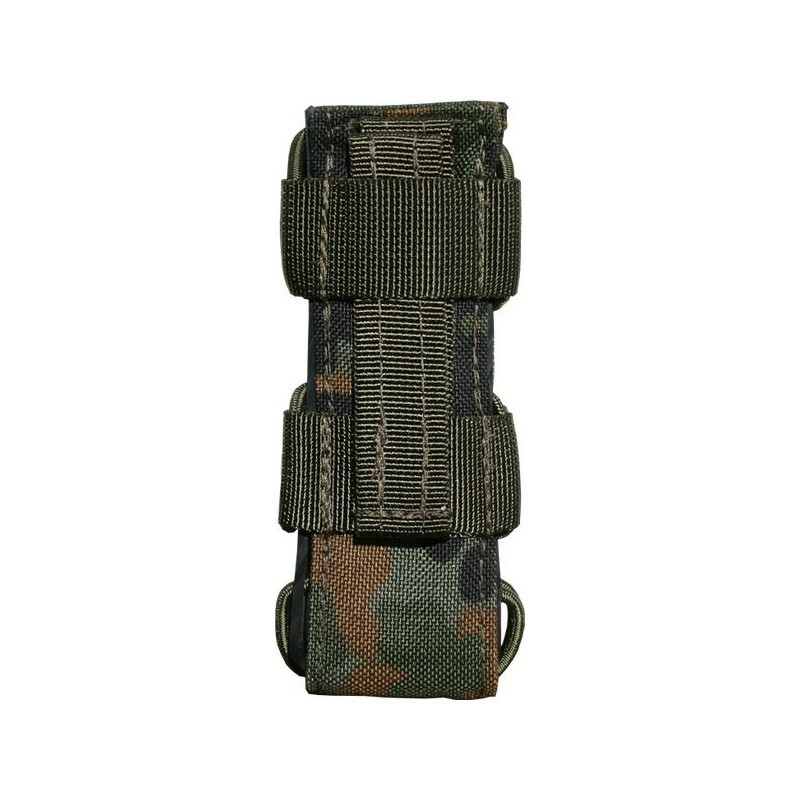 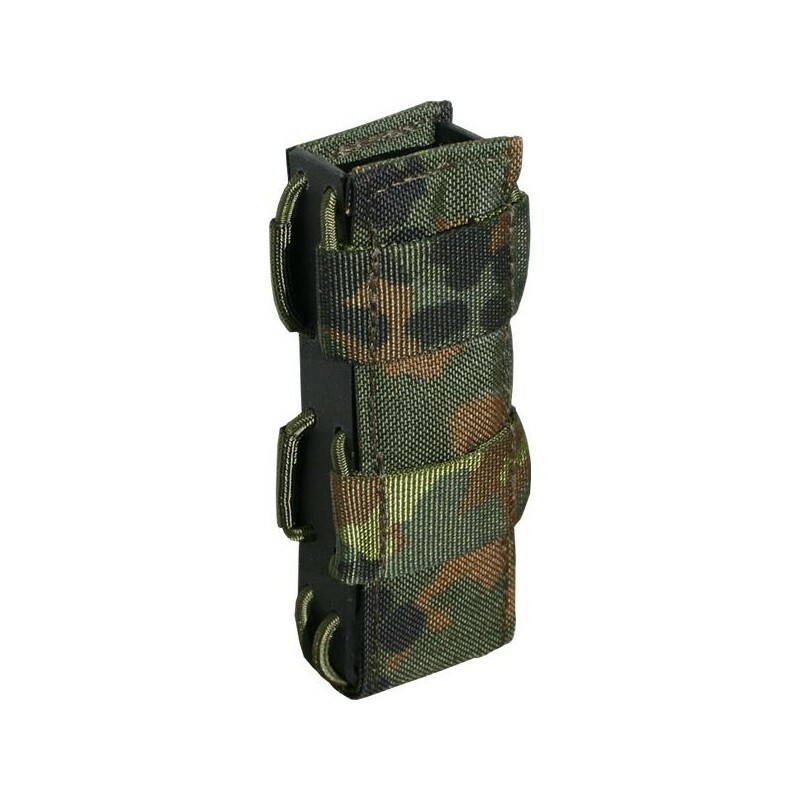 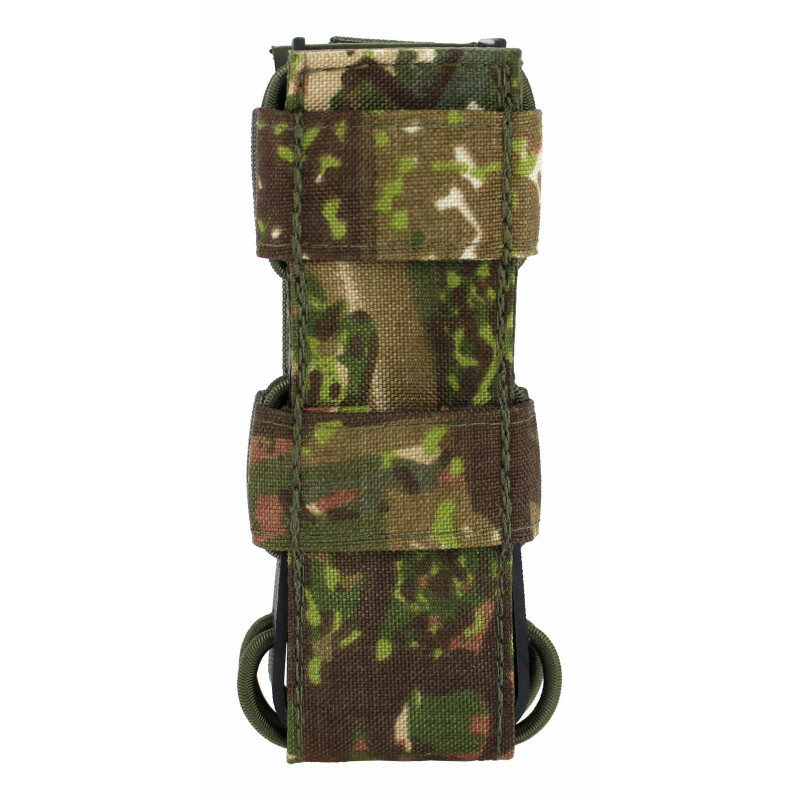 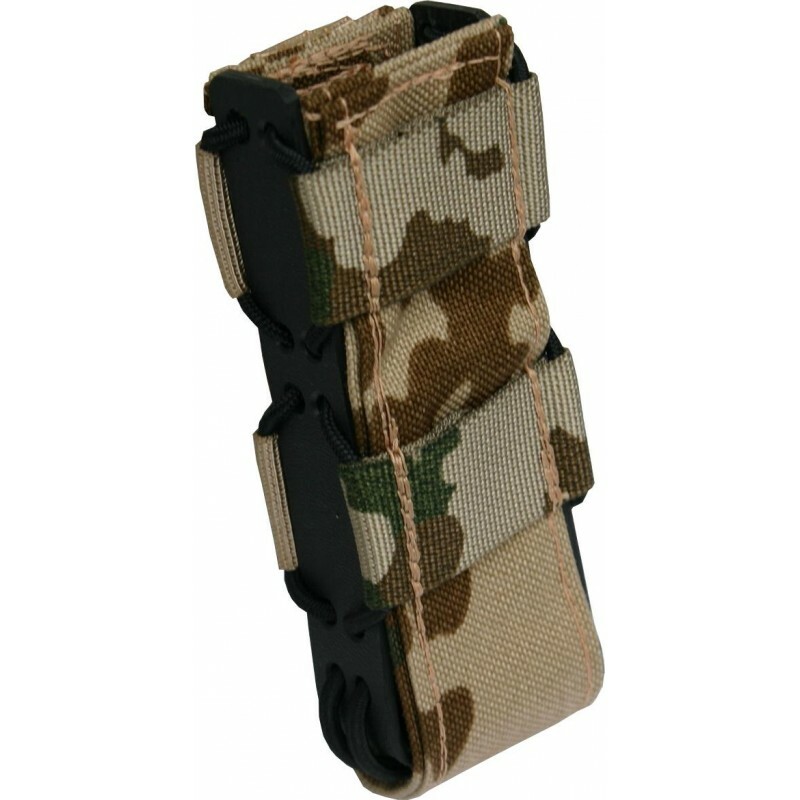 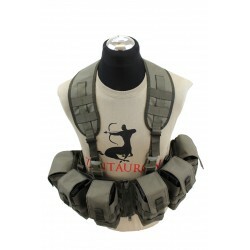 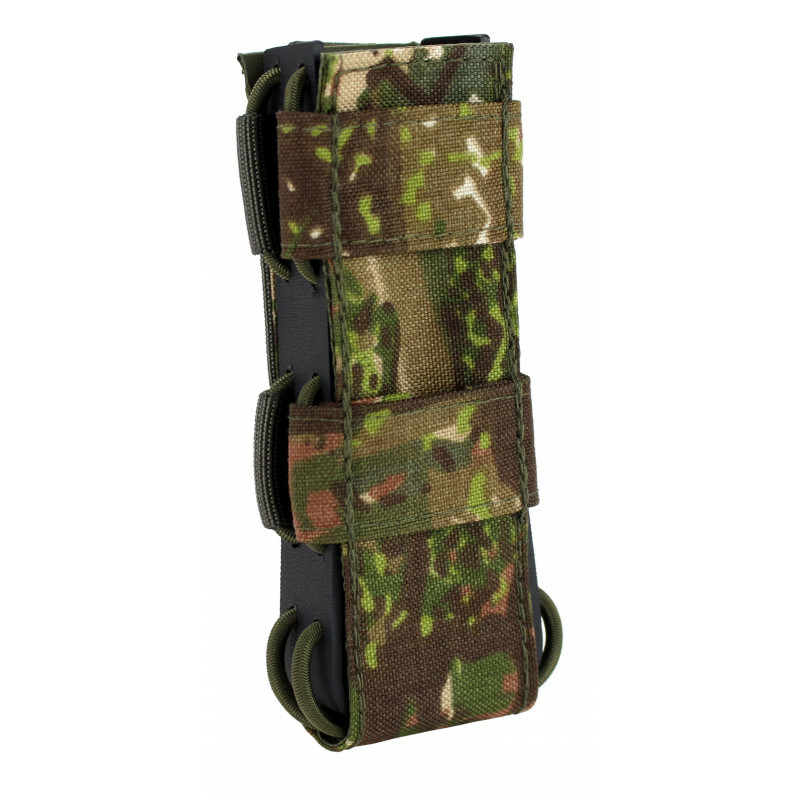 The user does not have to dispense with the advantages of centauron quick draw pouches, but does not occupy any further molle loops. 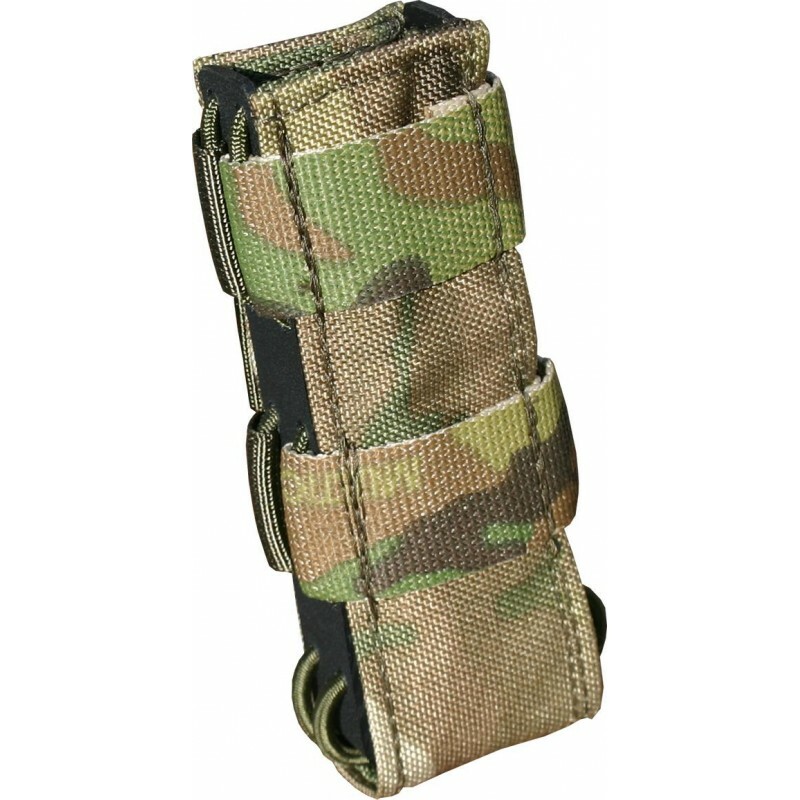 Through this structure we attain an extreme flat profile.